This was the main British offensive of 1915 and the first time gas was used by them. 1, 2, 4 and 9 RWF were involved. 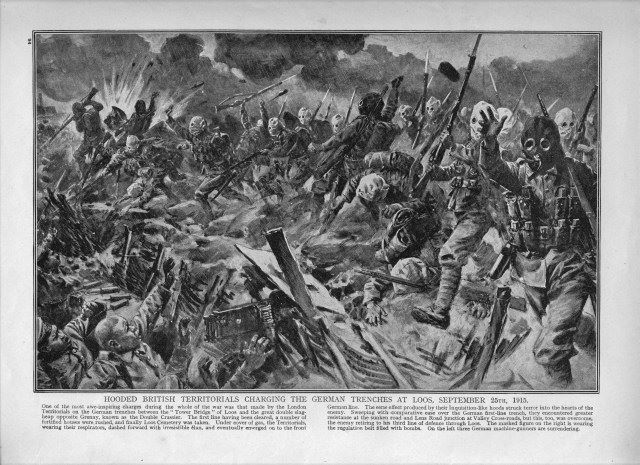 1 RWF was affected by gas before leaving its trenches and lost over 450 men overall. 2 RWF was in support but had 123 casualties. The 9th Battalion advanced through almost impenetrable wire, gas, and MG fire from both flanks. The CO, three company commanders and the adjutant were killed. Overall casualties totaled 250. The only battalion to have any success was the 1st.